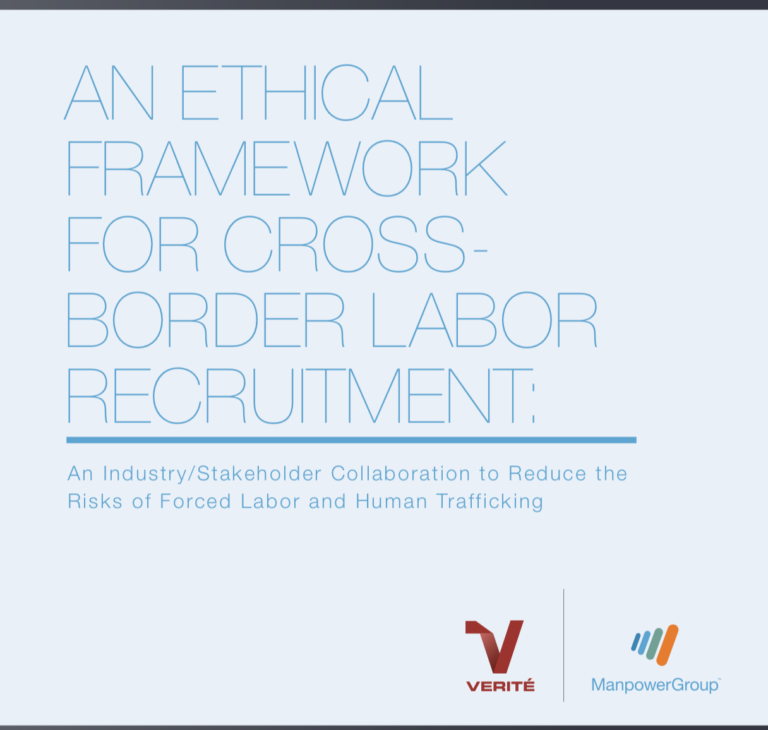 string(1118) "Resource Centre > Uncategorized > An Ethical Framework for Cross-Border Labor Recruitment"
The Ethical Framework for Cross Border Labor Recruitment offers a set of specific operational practices (“Standards of Ethical Practice”) for recruitment firms that operate across borders. These practices are reinforced by a Verification and Certification system to document compli- ance and provide essential information to third parties and potential business partners. The framework, including the verification process, is designed as a remedy to the current institutional fragmentation of the cross-border recruitment marketplace, where employers, recruiters, and their local and regional subcontractors may operate in different jurisdictions with limited accountability to one another, to regulators, or to workers. The framework creates a set of credentials and information for third parties that will help eliminate unscrupulous brokers. Tracking the traffickers: How can banks be used to stop human trafficking?